Everything we get in the way of magazine articles, member trip reports, equipment lists, in short, just about everything that might be useful to climbers of Aconcagua is thrown into this packet. Non-member Nancy Medford declined to buy this book over our recommendation and was last seen wandering the canyons of Northern Argentina and howling like a wolf. Buy this book, and if you come across Nancy, convey our respects. This is the best book around for backpacking in Chile and Argentina, with lively Argentinta books descriptions of mountain scenery, food, wine, walks around Santiago, the spectacular national parks, lake district, Patagonia, Tierra del Fuego, wildlife, hot springs, and geysers—everything you should know before setting out to backpack in Chile and Argentina. New edition. Don’t see what you’re looking for? If we don’t have it, Amazon.com probably does. Even if we do have it, Amazon.com probably does. Important: If you order directly from Amazon.com, they get all the money, but, if you click here, you’ll see our list of books, and, if you order through our title links, we get a cut. Think. Do you want to give all your money to Amazon.com or support your club? Ordering multiple books? It takes a little longer but order every book through our page. Does anyone know the price of a bus ticket from Buenos Aires to Curatiba (Brazil)?? AR027 Just got back from a non-commercial, un-guided climbing trip of Aconcagua, via the normal route, if anyone is planning or thinking about a trip like this & needs current info. feel free to contact me. Where can I find products from Argentine? ie shampoo, foods, soap. Things of this sort. Hi, I am planning a trip to Salta/Jujuy in Argentina this November. Would appreciate info on sights to see-nature/forest oriented. Also, ideas on whether to rent a car or use public trans. Other tips. WWW.HUPJE.NET Yes an excellent site. Even if it is my own. I’m currently uploading my travelogue of my current trip around the world. It has a detailed travelogue on how I sailed the Chilean waters on a ferry, surprised a large cat (puma) in Los Glaciers National Park and how I ventured into unknown trekking country to find myself catching fish with local settlers and in the end reach my goal by boat and not on foot. Other travelers will be interested in the country specific information section and trekking route descriptions. Anyone will enjoy the 100+ pictures which load in a few seconds. Be my guest and sign the guestbook. Suggest other items to include. P.S. Anyone going to Ecuador or Northern Peru over the few month? AR021 WANTED ! Looking for Insects dealers! I am looking for Insects dealers (Beetles). This is FUKINUKI(Mr) a Japanese entomologist. I am Taxa of world Lucanidae. Also, I like all beetles. Please give me contact. Hi: My name is Andres, I love backpacking and I’d traveled some through Argentina.I just wanted to tell you that if you ever need some help from a “native”, just mail me. I live in Buenos Aires so maybe I can be helpfull. Just mail back. Has anyone ever been interested in visiting or actually visited the Russian-speaking or (Ukrainian-speaking) area of Buenos Aires? If such area exists it should be around “Barrionce”. Has Judi Online been there? Also, a very old travel guide recommended a Russian restaurant called “Rosalka”. Does anyone know anything about this establishment? Argentina (my country) offer magnificent landscapes, friendly people, the best steaks in the world, incredible, inexpensive wines, and it’s Capital –Buenos Aires– a lot of cultural events, cafes everywhere, salsa and tango bars, etc.If any of you are thinking to come to south-america, your trip will be not complete if you don’t visit Buenos Aires and, from there, the diff. interesting turistic places in Argentina.Also it’s a good place to learn Spanish, because there are many institutes and private teachers, and it’s not so expensive as people says, when you live with a local. I will be glad to help travelers with some first hand turistic info, and with a cheap lodging –homestay– in BA. Want the Aconcagua Climbing Information Packet (Item #53)? Well, it’s $17.00 [Members $15.00] plus P&H. To order, fill out our on-line order form. This is a lengthy packet–we can’t e-mail this, so we’ll send it by regular mail. While not technical, Aconcagua is a highly underestimated climb. Traveling with Alpine Ascents and our nearly 30 years of experience, our knowledgeable, expert guides will greatly increase your chances of summiting and being safe on the mountain. Essential logistics like food prep, quality camps, porter options, and days on the mountain may seem like areas where you can “cut corners,” however we profess the importance of these details along with reasonable team sizes (many of our competitors end up combining teams and can have up to 20 people with just a few guides) are paramount to offering a superb experience. Over the last 25+ years we have developed a superb system on the mountain that affords you the best chance of proper acclimatization and summit success. 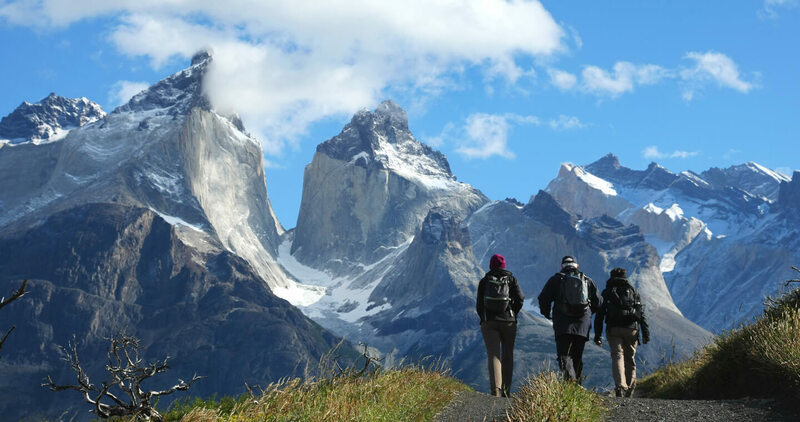 Our Vacas Valley and Normal Route departures have numerous extra days built in to the itinerary, and we methodically ascend the mountain with renowned guide staff at the helm. With a seasonal location in Mendoza, we can respond to issues that arise quickly. A low climber-to-guide ratio offers us the ability to closely attend to climbers, which is important to success and safety. There may be many personal reasons to choose a particular guide service, but there are four main areas of concern that you should look at carefully: safety record, guides, in-country logistics, and pre-trip planning with the climber. In all four categories, Alpine Ascents ranks highest in the climbing industry. No other guide service has the safety record, quality of guides, finely honed programs, food, care, quality, and customer service that we offer. Peru is a goal that asks to be investigated. In this huge and storied land, antiquated, frontier, and present day conventions merge together for a remarkable social affair. Regardless of the kind of voyager—history buff, globe-trotter, or foodie—Peru offers a bunch of exercises to fulfill each craving. It’s nothing unexpected that its antiquated locales, delightful geography, and different biological community draw in guests from everywhere throughout the world, making it a standout amongst the most mainstream goals in South America. Known as the City of the Kings, Lima is Peru’s capital city and an image of its Spanish pioneer history, industry, and autonomy. First-time guests should look at the neighborhood exhibition halls and get a preference for Peru’s profundity of history. Museo Larco has an antiquated accumulation of pre-Columbian shows of Peru’s indigenous individuals, where visitors can likewise appreciate wonderful greenery enclosures and an on location eatery. There’s no better approach to appreciate the beach front perspectives of Lima than in the lavish neighborhood of Miraflores. Walk around Parque del Amor, which offers breathtaking perspectives of the Pacific Ocean, or go to the antiquated mud pyramid of Huaca Pucllana for a measurements of history. You can visit amid the day or around evening time when lights make it an incredible sight. On the off chance that you have to make them shop in, the Larcomar is the place. This fundamental goal is presumably what drives the vast majority to visit Peru. Considered one of the new 7 Wonders of the World (close by overwhelming hitters, for example, the Great Wall of China and the Roman Colosseum) Machu Picchu doesn’t disillusion. A standout amongst the most vital approaches to get to Machu Picchu is through the Inca Rail, which leaves from Cusco or Ollantaytambo. The rail travel transports travelers through the stupendous perspectives of the Sacred Valley’s field. In addition, who doesn’t love a grand prepare ride? 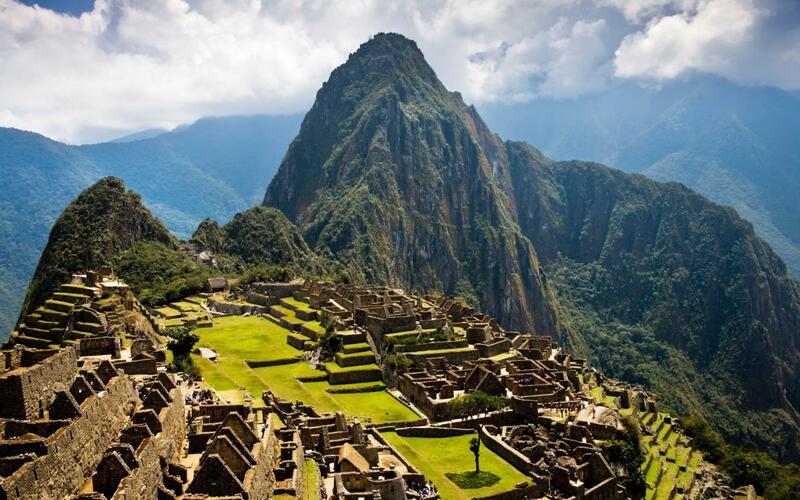 To visit Machu Picchu you have to purchase your ticket ahead of time of your trek. To help direct the measure of individuals who visit the site every day, there are a set number of tickets accessible. You can buy them online at the Ministerio de Cultura’s website page. The ticket acquiring site is just accessible in Spanish, so take after this guide. The climate here can be sensitive—radiant and warm one minute and dim and raining the following. Make sure to dress in layers, pack light, and bring waterproof coats and apparatus. Appreciate the view and the couple of local llamas and alpacas that call Machu Picchu their home! An awesome place to stay is the Inkaterra Machu Picchu Pueblo Hotel, which is arranged in the cloud timberlands at the base of the Incan fortress. This normal wonderland is home to more than 200 winged animal species extraordinary to the locale and more than 300 types of orchid that develop among the winding stone pathways to the visitor rooms. On the off chance that you have some additional time and cash, consider a sustenance visit while in Lima. The Lima Gourmet Company offers morning and night visits for about $130. Searching for something less expensive? Haku Tours offers a wide assortment of gathering excursions not simply restricted to sustenance. It’s likewise an ideal approach to meet kindred explorers. Cusco’s fundamental square, the Plaza de Armas, is maybe the city’s most notorious site and a prime spot for a comfortable walk and people-viewing. The square is additionally encompassed by numerous mixed shops and eateries. 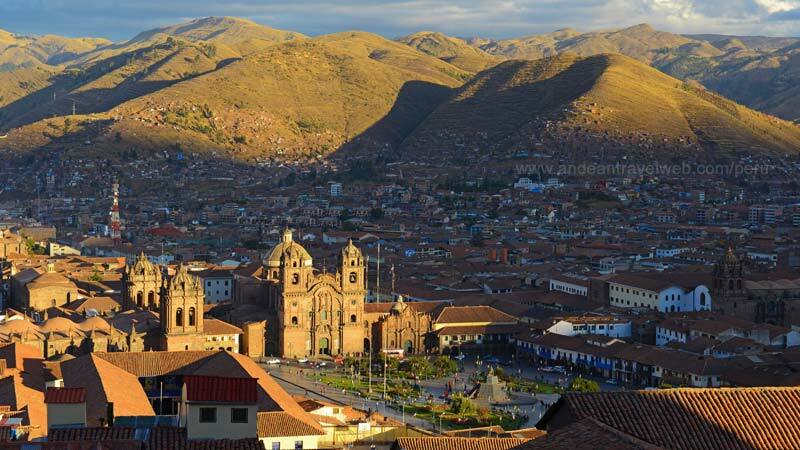 The sensational Cusco Cathedral sits on outskirts of the square and is an UNESCO World Heritage Site. Archeological relics, ancient rarities, and frontier centerpieces are shown inside. In the wake of a prolonged day of visiting the city stop at the Museo del Pisco, which offers mixed drink classes and flight tastings of pisco, an unmistakably Peruvian aperitif. Kick back and appreciate the landscape. On the off chance that you have sufficient energy, there is a throughout the day journey from Cusco to the renowned Rainbow Mountain (otherwise called Vinicuna). The rise is high, so you have to contemplate that for the climb. It is certainly justified regardless of the trek as the site is staggering! 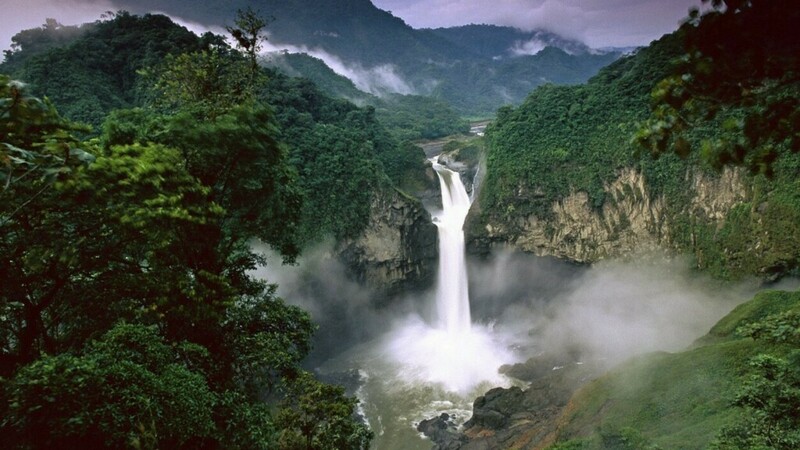 The Peruvian Amazon covers around 60% of the nation and is a standout amongst the most naturally differing ranges on the planet. Prepare to get very close with natural life and unpleasant crawlers! Fun actuality: the famous boa constrictor calls these grounds its home. One of the simplest approaches to get to the Amazon is via plane from Cusco to Puerto Maldonado—a snappy, 50-minute flight. Book your stay at Inkaterra Hacienda Concepción, an eco-accommodating National Geographic Unique Lodge that offers a noteworthy cluster of visits. One champion experience offered to visitors is a visit to Lake Sandoval, home to stream otters, caimans, and howler monkeys­—to give some examples. Other not-to-miss enterprises are the guided night stroll through the Amazon wilderness (you’ll be seeing a potential assortment of frightening to adorable; tarantulas to kinkajous), the nightfall waterway outing, and the not-for-the-black out of-heart shelter walk. Peru’s seasons are the reverse of those in the northern hemisphere. Summer in Peru is from December to February and winter from July to September. There’s not a bad time to visit Peru, however as a very general recommendation the best time to visit the coast is during the summer (Dec-Feb) and the best time to visit the mountains is in the winter (Jul-Sept). The jungle is hot and steamy all year round with heavy rains in December and January. Peru is separated up into three unmistakable topographical areas: the drift, the mountain good countries and the wilderness. This period is the dry season, with hot, dry days and cool, dry evenings, regularly floating simply above solidifying, especially in June and July. May is maybe the greatest month with the farmland especially lavish, yet with sublime perspectives and fine climate. You’ll discover the blossoms in full sprout, the grass green and the streams full. Peru’s high season is from June to August which matches with the dry season and summer occasions in North America and Europe. You’ll discover Cusco an entirely cosmopolitan city with sightseers from everywhere throughout the globe merging on Machu Picchu. This is the wet season with most rain in January and February. It’s generally evident and dry most mornings with upheavals of overwhelming precipitation in the evenings. The day by day temperatures are commonly mellow with just a little drop during the evening. The Inca Trail is significantly less swarmed amid this period and there’s a more bounteous new water supply, obviously be all around prepared for the rain. You’ll likewise discover a few streets may end up plainly closed especially when attempting to visit towns off the beaten track. Huge numbers of Peru’s significant celebrations, for example, Carnival and Easter Week happen amid this period. The Coast (Lima, Nasca, Arequipa). This is mid year on the drift where the climate is hot and dry and perfect for swimming and getting a tan. Temperatures all things considered range from 25-35C. There is next to zero rain amid these months. The shorelines around Lima and the North can stuffed amid the periods of January and February which agree with school occasions. From May to November the temperature drops a bit and you’ll discover covers of ocean fog overwhelming the drift from the south up to around 200 km north of Lima. During this season just the northern shorelines, for example, Mancora and Punta Sal are sufficiently warm to give wonderful swimming. This is the dry season with day by day temperatures averaging 30-35C. However cool fronts from the South Atlantic are normal when the temperatures can drop to 15C amid the day and 13C around evening time. The dry season is the best time to visit the wilderness districts as there are less mosquitoes and the waterways are low, uncovering the shorelines. It’s additionally a decent time to see settling and to see the creatures at short proximity, as they remain nearby to the waterways and are all the more effectively observed. This is the wet season, hot and muggy, when you can expect substantial rain at whenever. It downpours for a couple of hours on end, so it’s insufficient to ruin your trek. Wellington boots are an absolute necessity however, as a portion of the wilderness trails can turn out to be little streams.